Revolution Health & Wellness Clinic Is Moving! We have been in our current location for just over 5 years. Our current location has served us well but we have outgrown our space and need to expand. Our emphasis on Tulsa Functional Medicine will continue but we are adding some services and expanding others. Again, we will continue our emphasis on Functional Medicine where we seek to provide the highest level of service and focus on finding the real reason for disease and dysfunction. We will continue to focus on thyroid management and bioidentical hormone replacement therapy (BHRT). Let me tell you a little about the new building. First, to give a baseline for where we have been. The old location is about 2300 square feet. We have 1 room for phlebotomy and IV therapy – that is where our 2 recliners are located. Not very comfortable for IVs given the flow with the amount of labs we draw. We have 2 primary exam rooms and an additional room for examination, well woman exams, nurse procedures like EKGs, and aesthetics (such as botox, fillers, etc). That can be a busy room! The nurses station is adequate (unless you ask the nurses) but very tight quarters. And, if you’ve ever paid attention, you’ll recall that our front office (check-in, check-out) is extremely congested with room for ONLY 1 person at the desk. The new location is just much bigger, better, and nicer. For starters, the building is over 5800 square feet. It is almost 3 times larger than our old location. We are located right off of Highway 75. The new location will add a small amount of time for some patients (less than 10 minutes for those in the Owasso area/direction), barely change for others (Bartlesville area/direction adds <3 minutes), and be much quicker for others (Bixby patients will save 11 minutes). We are the only occupants of this building so we won’t have to share space. We get to decide what kind of entry doors we have. That’s right, no more ridiculously heavy front doors. Getting your bioidentical hormone pellets will be that much easy for you. The waiting room is larger and brand new at that. We are going from the rooms listed above to 6 exam rooms, 2 IV rooms, phlebotomy room, nurses room, lab, procedure room… and the list goes on and on. Plus, the nurses will actually have room to work. There is a TON more room for them. And they will each get their own phone. The reception area has room for 4 receptionists. Of course, we have to figure out the work flow but we have the room to do so much more. Lots of things! All of our new exam rooms are bigger than our largest room at our old location. It will be more spacious and comfortable for everyone. We are expanding our IV therapy. We’ll be able to do multiple IVs at the same time. Plus, we will have an RN (who is also our chiropractor) managing the IVs with assistance from the other nurses as needed. And if we fill them up we’ll hire more! With more room we should be able to be more efficient with things like injections and blood draws so you should have less wait time. We plan on having more supplements on site with less wait time for them. This is where it gets really exciting! We are hiring a Nurse Practitioner and opening an additional clinic on the other side of the building. This clinic will be in-network so we will take most insurance plans there. 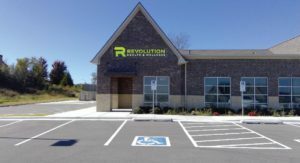 This is a separate clinic but offering similar services as those you’ve come to know with Revolution Health. 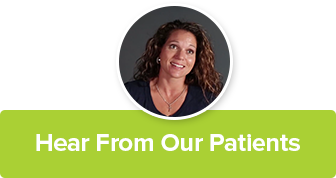 Having 2 clinics and 2 providers will increase access making it easier for you to get appointments for routine issues, prolotherapy, bioidentical hormone replacement therapy, hormone pellets, etc. And it also means that we can get you in for acute issues like strep throat, ear infections, and other acute issues. Of course, we are very excited about that! Finally, we are adding a Tulsa Medical Spa. We have a licensed aesthetician as well as a Nurse Injector trained in Botox and fillers. Our goal is to be the premiere Tulsa Medical Spa and a place you want to tell all of your friends about.